It looks like the streets of New York will soon be home to a new fleet of cabs from Nissan Motor Corporation, with the New York Court of Appeals overturning a previous decision of the New York Supreme Court. 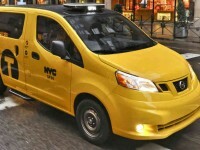 The New York Supreme Court had originally ruled that the city’s go-ahead to gradually replace all taxis operated in New York, with the Nissan NV200, exceeded the city’s authority by requiring owners to buy a specific vehicle. At least they didn’t require a raise in car insurance rates. After Nissan won the contract to design and build a Taxi of Tomorrow in a competition run by the city’s Taxi and Limousine Commission, taxi company operators challenged the city on two issues: (1) NV200, which lacks hybrid technology, may be too expensive to operate, and (2) the city could not force all cab companies to buy the same type of vehicle from just one manufacturer. In recent years, various types of hybrids have increased in popularity among taxi operators, and many cab company owners said that they would rather have replaced older cabs with hybrids. One small victory for these owners: A prior ruling by the court allowed them to buy hybrids until Nissan has a hybrid version of the NV200, which is targeted for 2015. Although the latest court ruling gives Nissan the green light for their plans, another federal court case is still in limbo. In 2011, the Taxi and Limousine Commission was sued by handicapped supporters to force the city to make all taxi vehicles wheelchair accessible. (Nissan has developed a wheelchair-accessible version). The U.S. District Court ruled that the commission’s plan is in violation of the Americans with Disabilities Act; the ruling was reversed in 2012, with the U.S. Court of Appeals declaring that the act does not obligate the Taxi and Limousine Commission to require taxi owners to provide access to the handicapped. No doubt, the car insurance rates will be higher for these expensive vehicles. Do you think these new cabs are worth the price? Feel free to share your thoughts in the comments section below.